Greatly reduce avionics project certification risk with off-the-shelf technology. The commercial availability of VAPS XT-178 CertKit, as well as the upcoming availability of Seawind-178 S3 2300E, enables Presagis to provide a complete end-to-end DO-178B Level A certifiable graphical HMI development suite. Avionics Europe Conference & Exhibition – March 22, 2012 - Presagis™, a leading provider of commercial-off-the shelf (COTS) modeling, simulation, and embedded graphics software, today announced the upcoming, April 2012, commercial availability of VAPS XT-178 CertKit, a COTS, certifiable, graphical human machine interface (HMI) solution that reduces DO-178 project certification risk. VAPS XT-178 CertKit, along with Presagis Seawind-178 S3 2300E (also available in April), enables Presagis to support HMI developers in achieving certification of their next-generation real-time embedded display graphics to the most stringent aerospace industry software standard, RTCA DO-178B Level A. The standards that govern the development cycle of any software embedded in airborne equipment are among the most stringent for software development in the world, and the certification process has become a significant component of the cost and time to build an aircraft, making it a significant risk factor to consider. Presagis certifiable COTS software are a valuable solution in mitigating avionics development risk and ensuring that budget constraints are respected. A user can automate or reduce the level of effort spent on certification, reductions that can be achieved by using qualifiable development tools, such as Presagis VAPS XT-178. Moreover, as the first vendor to offer a COTS OpenGL® SC 1.0 API-compliant graphics driver for safety-critical embedded environments, Presagis completes the certification process requirements to the hardware with the SeaWind-178 product family. VAPS XT-178 CertKit represents a significant benefit to customers on DO-178 certification projects developing graphical avionic HMIs. In conjunction with VAPS XT-178 customers can design and deploy graphical avionic HMI applications that will meet the highest level of certification requirements. By leveraging Presagis investment in CertKit customers can accelerate their project timeline and reduce costs. Certification risk on the graphical HMI component of their application is greatly reduced since the required certification artefacts have been completed and are included in the CertKit. Seawind-178 S3 2300E represents a significant benefit to customers on DO-178 certification projects developing graphical avionics. In conjunction with VAPS XT-178 customers can design and deploy graphical avionic HMI applications that will meet the highest level of DO-178 certification requirements. Seawind-178 S3 2300E accelerates preparedness and reduces risk for submission of real-time, embedded, graphical avionic applications to a certification authority. Seawind-178 S3 2300E supports certification to DO-178B Level A of the OpenGL ES and SC APIs as well as the low level driver interface to the S3 2300E. This reduces certification effort and customization services required to port to the hardware. Moreover, certification risk on the graphical HMI component of their application is greatly reduced since the required certification artefacts have been completed and are included in the CertKit. There is an optional DO-254 data package also available for the S3 2300E. For more information, please visit Presagis at Avionics Europe, March 21-22, Munch, Germany. Presagis is a global leader providing commercial-off-the-shelf (COTS) modeling, simulation and embedded graphics solutions to the aerospace and defense markets and is the only developer to deliver a unified COTS software portfolio based on open-standards. Presagis combines cutting-edge technology with innovative services to help customers streamline development workflows, reduce project risks, create detailed models and complex simulations, in addition to developing DO-178B certifiable applications. The company services more than 1,000 active customers worldwide, including many of the world's most respected organizations such as Boeing, Lockheed Martin, Airbus, BAE Systems and CAE. 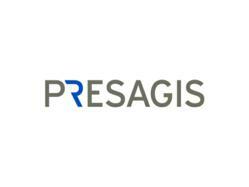 For more information, visit http://www.presagis.com.